Choosing the right domain name is one of the most important things in establishing a strong online presence. The reasons behind this are numerous. First of all, you need something that is easy to memorize, so that people who can’t get to you right away will remember where to find you later on. Second, you need something short and simple, in order to minimize the margin of error caused by bad spelling or mispronunciation, which would ultimately lead your clients to a completely different place. Still, the above mentioned is just the tip of the iceberg of why choosing the right domain name is so important. Here are a few useful tips on what to look for when looking for the right one. Earlier on, we talked about the problem of misspelling a word in your domain name. Well, the most common situation when this happens is when people can’t remember whether to use a hyphen or not. In other cases, even the position of the hyphen may be a tad problematic, which is why it is by far the safest to avoid it altogether. As for numbers, your clients probably won’t be able to remember (at least at one point) whether to use letters or numerals (three or 3), which could, once more, cause a lot of confusion. Another problem that sometimes happens is that your name will unintentionally sound either bad or totally inappropriate. The list of such examples is literally endless, so ‘Therapist in the Box’ turned out to be therapistinthebox.com, ‘Kids Exchange’ became kidsexchange.com, while ‘Ben Dover’ became bendover.com. All in all, in order to avoid such a mistake, show your domain name to someone and ask them to read it out loud. You could read it on your own, as well, but seeing how you already know what it is supposed to say, there is always the risk of overlooking the obvious. One of the things that a lot of people forget about is that the extension is a part of the domain name as well. Sure, a lot of people automatically assume that it is a .com, but going with regional TLDs is another thing you can try out. For starters, this lets your clients know exactly where you are from, which can be quite useful for those looking for local services. A Sydney based company would, therefore, do well to look through cheap domains for Australia (the .au extension). Furthermore, the extension you use can also closer describe what it is you do. So, for example, if you are a bike club, you could use the .bike extension for your domain name, or go with .academy if we are talking about an educational institution. Earlier on we went to length to discuss the ways in which you could make your domain name easy to remember. Well, the solution to this problem is quite obvious actually, and all you have to do is make it intuitive. An example of how you can pull this off is by using a descriptive phrase in your domain name. So, if you sell furniture in Melbourne, you might want to use both of these words in your domain name. This way, your clients will have an easy time remembering how to find you, since all they will have to do is remember what is it that you do. Finally, some people make the mistake of rushing ahead of themselves and start printing their domain name on promotional products even before they register it. Imagine a scenario where you were to do such a thing only to find out that the name you had set your mind on isn’t available. You see, there are over 644 million active websites out there, so the chance that someone else has already come up with that particular idea isn’t that unlikely. This situation will end either with you having tons of promotional material on hand or engaging in a negotiation process in order to settle with the domain name’s current user. In order to avoid all that, you could simply check if the domain name is available as soon as you come up with the idea. As you can see, choosing the right domain name is far from simple, but seeing how it is something that could decide the future course of your digital marketing efforts, it is definitely worth all the trouble. In order to come up with the right one, try to put yourself in the role of one of your clients and ask yourself a few simple questions. Is this name easy to remember? Can it be made clear from the name what it is that we do? Is it easy enough to pronounce, are there any hidden meanings I should avoid? 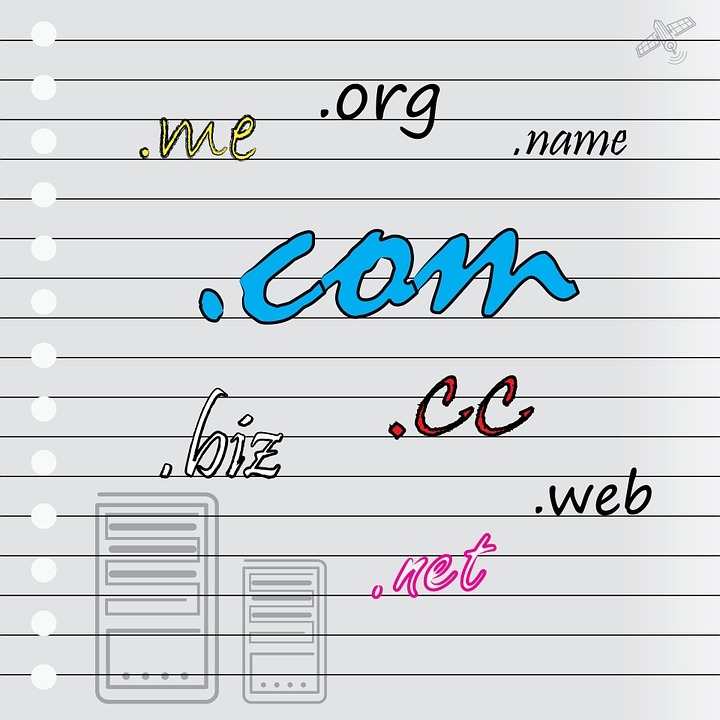 With these questions on your mind, you will get your domain name in no time.